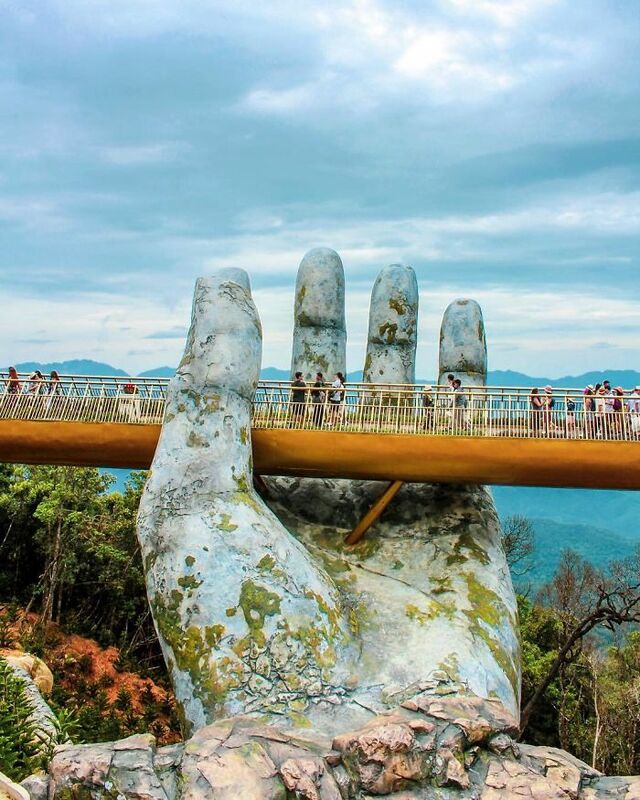 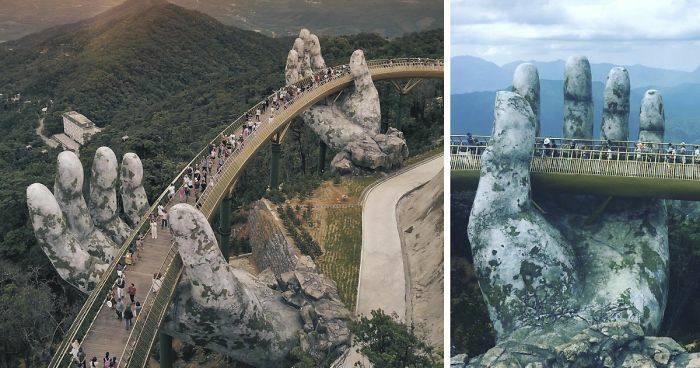 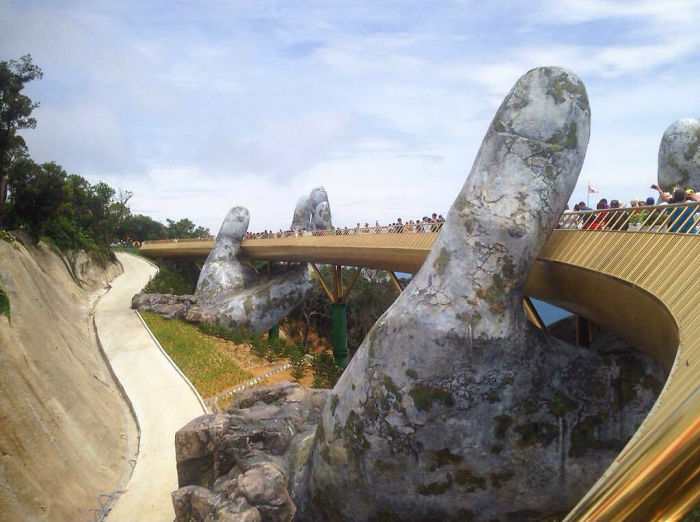 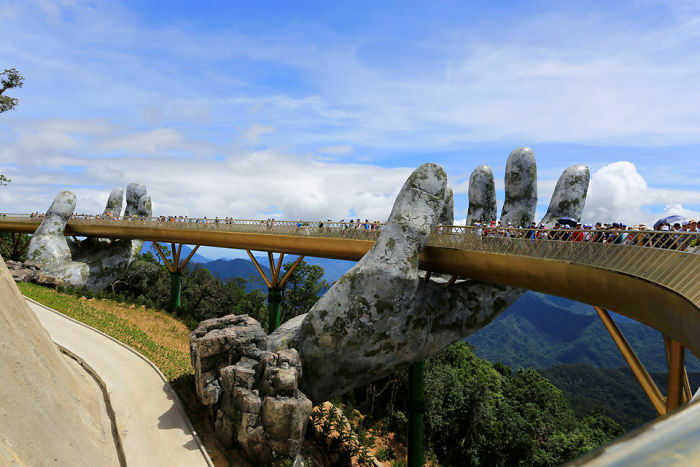 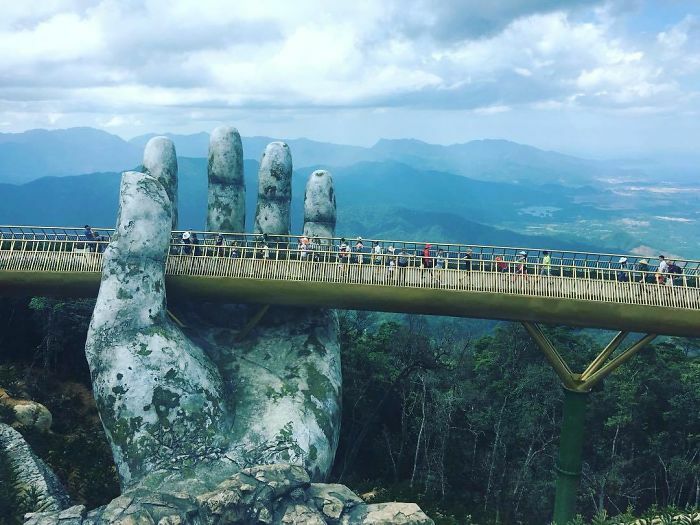 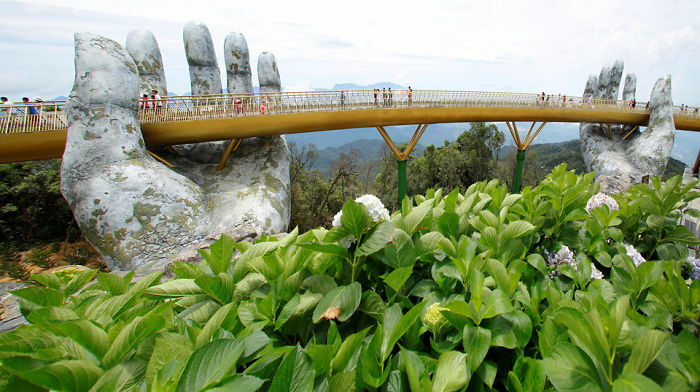 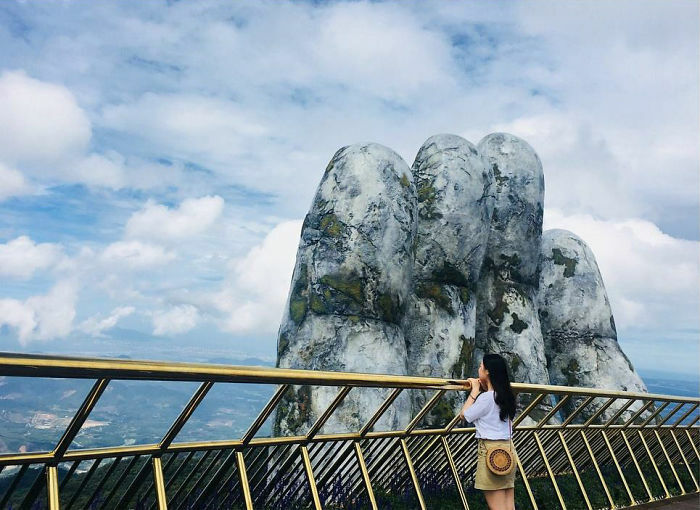 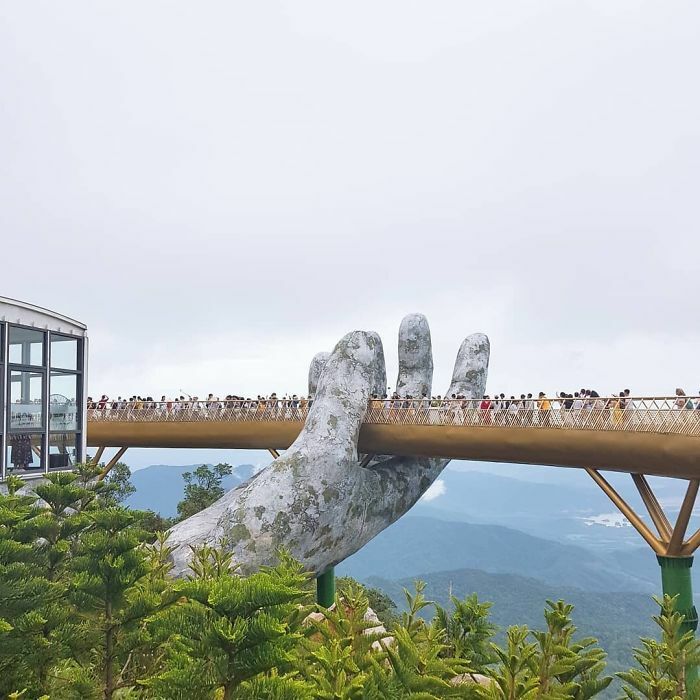 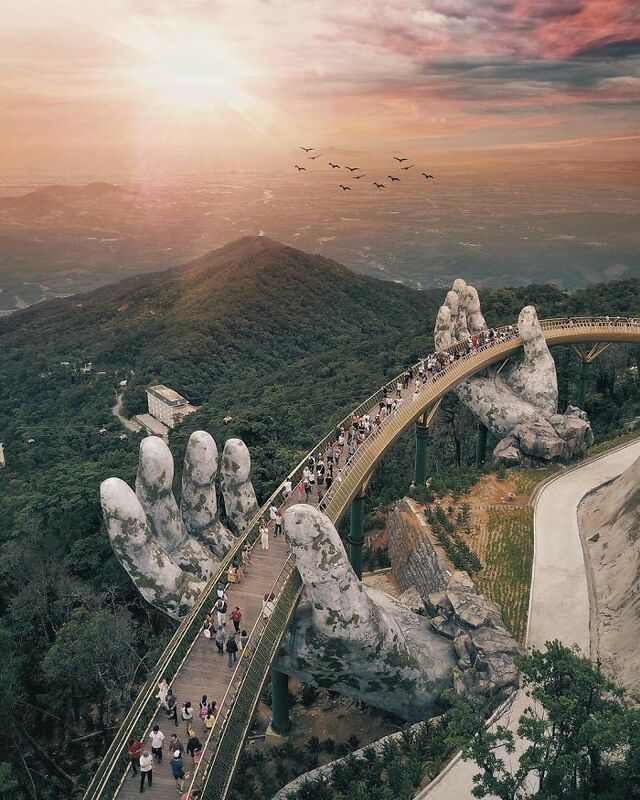 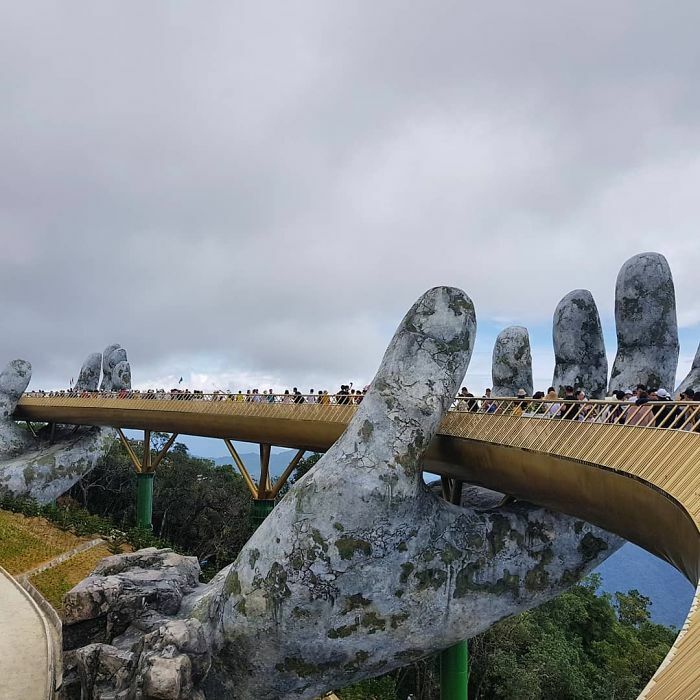 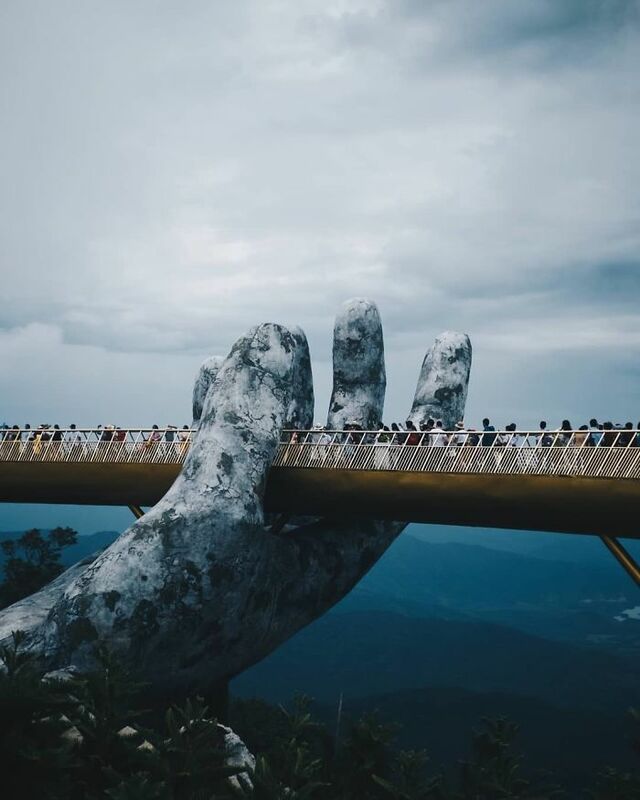 A bridge outside Da Nang in Vietnam is wowing visitors with its beautiful view and elegant design – seemingly being held aloft by two giant stone hands. 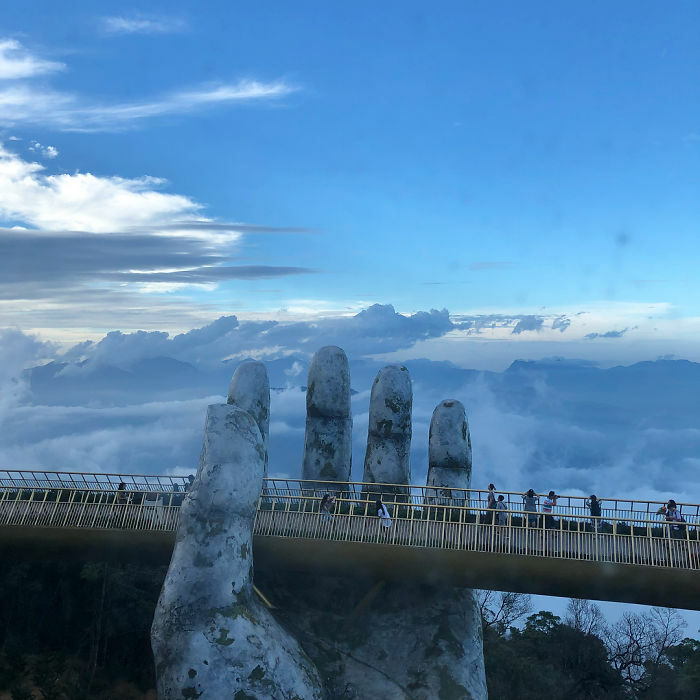 Vietnam tourism has experienced a boom as more and more people discover the beautiful places to visit in this remarkable country; the structure is part of a $2 billion investment to bring even more than the 1.5 million visitors the area receives annually. 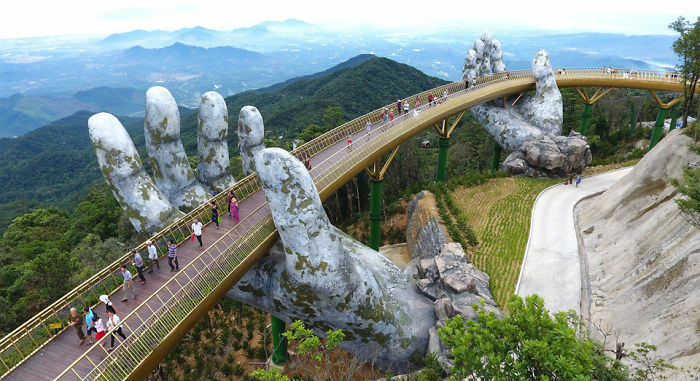 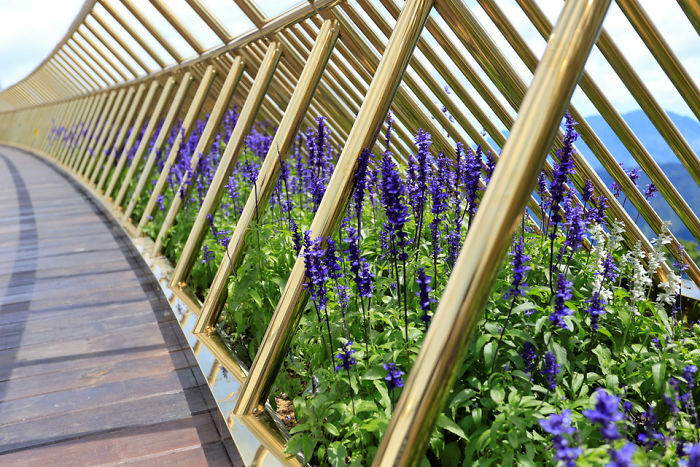 Would you like to visit this amazing bridge? 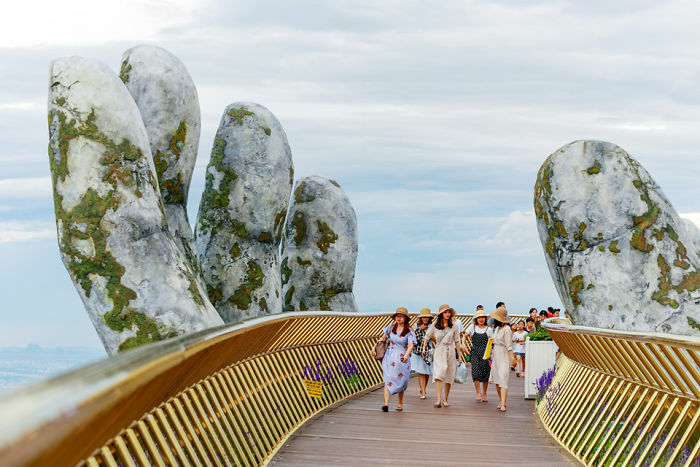 Scroll down below to check it out, and if you ever visit it, don’t forget to hand hold your partner while on the handheld bridge!